...with lashings of apple sauce and the crispiest crackling around. It’s enough to get your taste buds tingling. 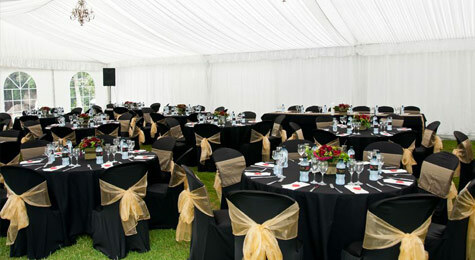 ...so you can relax and enjoy yourself, safe in the knowledge that your guests are having a great time too. 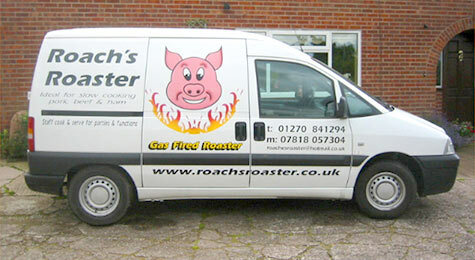 Roach’s Roaster has been feeding guests at functions and parties throughout the North West, North Wales and Staffordshire since 1999. 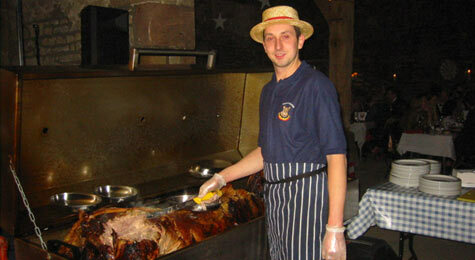 Choose between a mouth-watering hog roast, silverside beef, cured ham or turkey. Or why not go for a combination of meats? At Roach’s Roaster, based near Nantwich, in Cheshire, we specialise in delicious, high quality hog roasts for the North West, North Wales and Staffordshire. We cater for a wide variety of special occasions, including wedding receptions, birthday parties, barn dances, corporate events and much, much more. Call us on 01270 841294 or 07818 057304, or email enquiries@roachsroaster.co.uk, to find out how your event could benefit from a great value hog roast experience. We're a family-run business and all our meats are locally sourced. As well as tender hog roasts, we offer home-cooked beef, ham and turkey. And don't forget the all-important condiments - stuffing, apple sauce, mustards etc. We take care of all your catering needs, so you can relax.